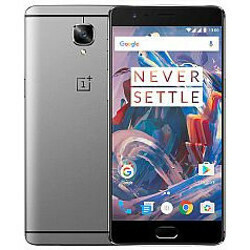 Following the release of OxygenOS 3.5.2 community beta build for the OnePlus 3, the Chinese company managed to get a few things right and delivered a couple of optimizations and bug fixes for all OnePlus 3 owners. The new OxygenOS 3.2.6 OTA update is rolling out to all OnePlus 3 devices out there. Keep in mind though that since this is an incremental update, the OTA will arrive on a small percentage of users at first, but a broader rollout will be available soon afterwards. - Optimized voice call quality of some IM applications. There are some issues that you should know about as well, such as the fact that community build roll back to MP builds will now require clean flash. Also, rooted users or those using custom recovery may face installation issues. The only way to solve these issues might be to unroot the smartphone and use official recovery. No one cares about TRASH like One plus 3 . Let it get Oxygen , Hydrogen or Nitrogen OS. Apparently you do since you've already opened this article and commented on it. Updated my op3 and it was awesome! Keep it up op!!! Wow that's great news! Where you able to update to 3.2.6? 1+ is on a roll, fast and steady updates! Maybe I'll get the 1+4 when it comes out. Does anyone know if Android Pay is still broken? I tried updating it this morning before work but it got stuck at 97% download for 10 minutes. Still can't find the update OTA I'm in middle East any ideas on the delay till now ? ?